The NFL Players Association executive board and 32 team reps have voted unanimously to approve the terms of a deal to the end the 4½-month lockout. 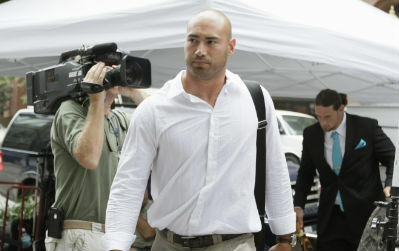 Minnesota Vikings football linebacker Ben Leber arrives at the NFL Players Association in Washington, Monday, July 25, 2011. WASHINGTON (AP) — The NFL Players Association executive board and 32 team reps have voted unanimously to approve the terms of a deal to the end the 4½-month lockout.